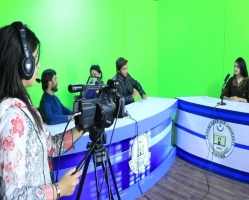 The Department of Mass Communication, established in 2005, has been devoted in just not providing the theoretical knowledge to its students but also the practical training which will enable them to compete in professional media market. A highly qualified teaching faculty is at service to provide the students with contemporary media knowledge in research and professional trajectories. The department has yet produced remarkable number of journalists who are working in different media organizations. The department is offering various programs ranging from undergraduate course to professional diploma courses. The department also encourages its students to participate in universities’ different societies and clubs where they collaborate and incorporate their studies into practical works. 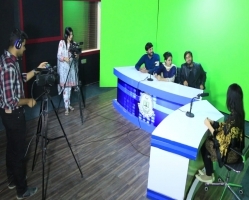 The Department of Mass Communication welcomes the interested and potential students to be a part of it and become successful part of journalistic society in future.